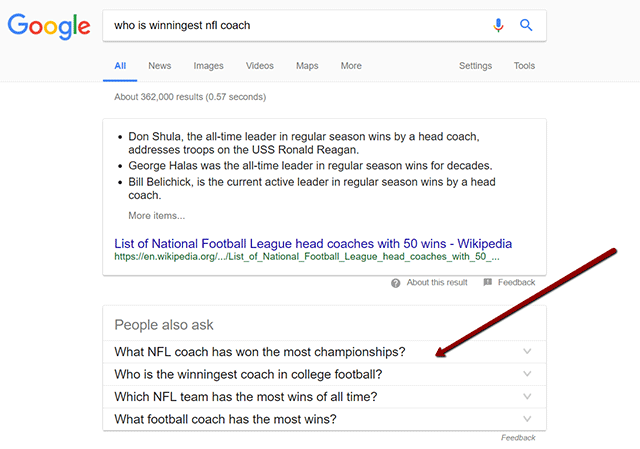 The people also ask feature in Google that began showing back in 2015 has seen a huge increase in the time it shows in the Google search results. The increase is reported at around 35%, showing for almost half of all queries. Dr. Pete Meyers from Moz posted about it first on Twitter saying there was a 34% increase and Google now shows this feature "43% of all SERPs in the MozCast 10K data set." I am not sure how this will directly impact SEOs and your traffic, but here is a heads up.